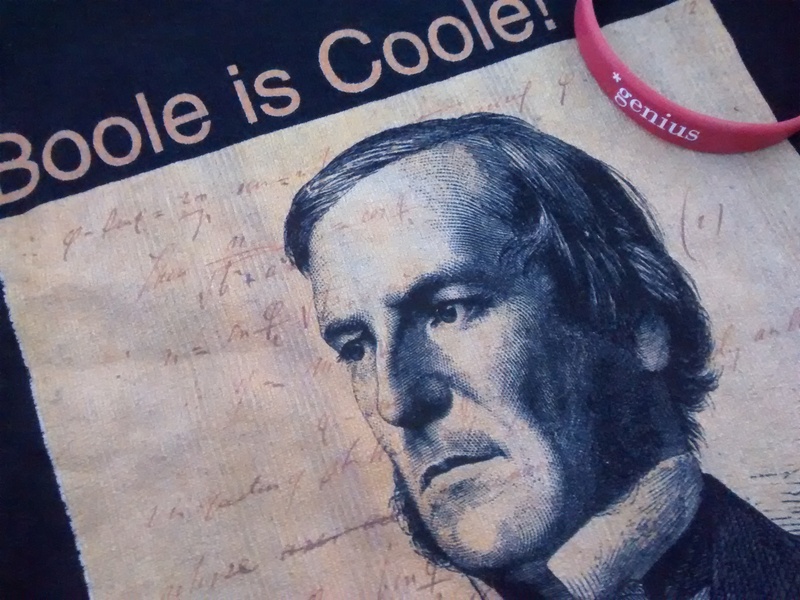 With Boole, #Boole and @GeorgeBoole200 trending in Ireland and the world at various points yesterday, it’s no surprise there were a lot of links being shared. If 1 is the universe and 0 is nothing, this list is closer to 0 than 1: there is a lot more on @georgeboole200, @boole2school and @UCC. The site GeorgeBoole.com was set up last year by UCC and contains a wide range of information about Boole and the development of boolean algebra. Do you know there is a crater on the Moon named after Boole? That and more here. This video gives a brief introduction to the importance of George Boole, who will be the subject of a year of celebration in UCC next year, 2015. George Boole’s major achievement was Boolean Algebra, a major development in logic, which Frege later built on. For Boole’s life and his contribution to the digital age, see this video Forgotten Genius: George Boole (YouTube), and for his place in philosophy Logic –The Structure of Reason Great Ideas of Philosophy (YouTube) (Boole is featured from 15:43 to 17:42). A biography of Boole is here.